Outdoor Women’s Alliance® is a volunteer-run nonprofit media and adventure collective that engages, educates, and empowers females worldwide. Through the lens of human-powered adventure, we work to inspire confidence and leadership in women of all ages, believing that confident women have the power to build healthy communities and — quite literally — change the world. Our individual-focused programs assist aspiring outdoor industry professionals through a variety of internships, organizational leadership roles, professional mentorship, and other resumé-building experiences. Our community-focused programs are served locally through our Grassroots Program, and globally through collaborations with professional athletes, like-minded organizations, brands, and our online channels. These programs serve to build leadership and confidence in individuals, promote active outdoor lifestyles, and increase recognition for the athletic abilities of women in adventure sports. Aided by these programs, we form a network that connects the outdoor community. We do this to help women find the resources, peers, and events that will help them gain the knowledge, skills, and motivation they need to achieve their potential. Through our work, we aim to help advance the standing of women worldwide. The concept of using adventure sports as a tool to empower women came to Gina after returning west from her Florida home state. In Utah, she watched others’ confidence grow with their participation in individually-focused sports. 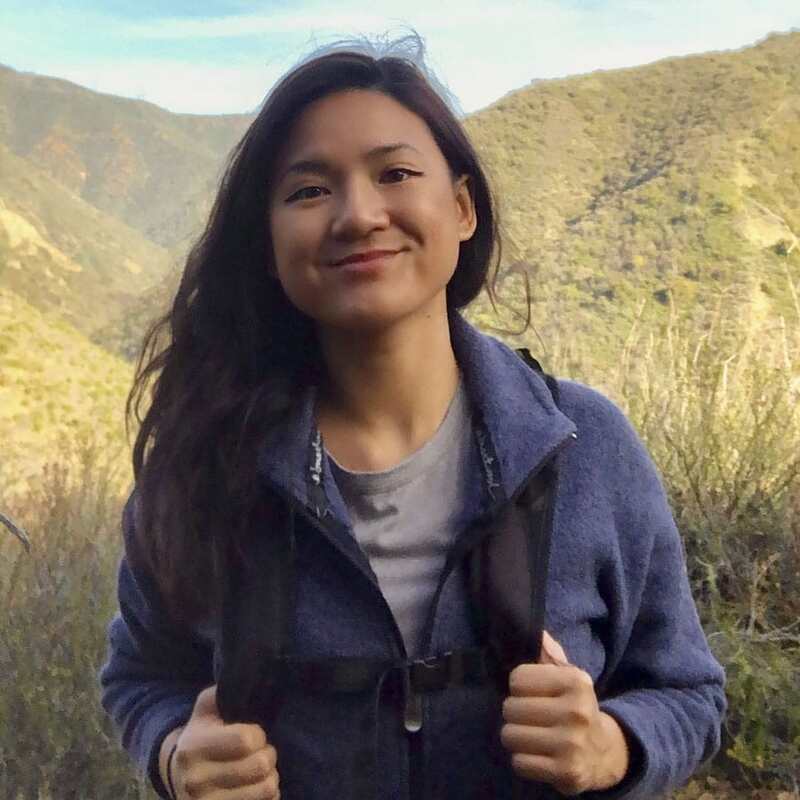 Thinking of Florida and her experience in underserved communities, Gina realized an adventure program for girls would help reroute many young women from risky paths to positive avenues of self-value. In 2007, while developing this idea, adult peers asked to join her in local, women-only outings. Due to demand and her desire to create a foundational, female-focused space to assist with access to the outdoors, Outdoor Women’s Alliance grew to include women everywhere, regardless of age, location, or skill level. 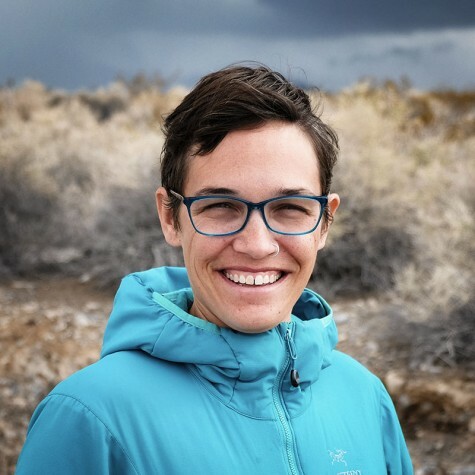 Gina majored in geographic information + environmental sciences, and is a freelance adventure photographer, writer, and digital marketing strategy consultant. 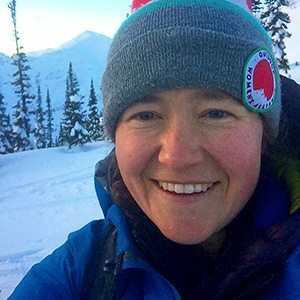 She is the Executive Director of Outdoor Women’s Alliance, editor-in-chief for OWA’s editorial mentorship program, and directs the organization’s social media program. She loves mighty bear hugs; dancing to underground hip hop + 1940s swing; and eating all the southern food ever. Lynn, interim managing editor for our Editorial Mentorship Program, grew up in Southern California and spent zero days camping as a child. It wasn’t until her later years in high school that she began exploring the outdoors. It started with snowboarding and, when the weather warmed, long hikes under the trees. Recently, her adventures have taken her to the mountains, where she is an avid climber (who actually enjoys slab). She is a journalist turned brand and lifestyle marketer specializing in digital storytelling. She’s worked for community and international publications including The Enthusiast Network, Los Angeles Times, USA Today and their affiliate publications. She enjoys marketing and branding projects in the agency setting for various brands. 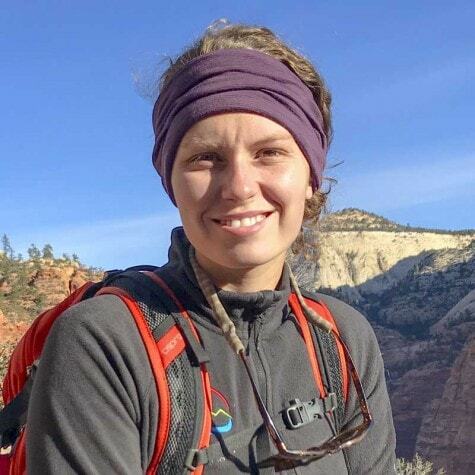 Anna grew up in southeastern Wisconsin and always liked being outside, though it wasn’t until she moved to Utah in 2009 that she discovered just how much she loved outdoor adventure. She’s a camper, hiker (of anything but mountains), canyoneer, and climber. Her true love is bouldering, though she’s learning to enjoy climbing on a rope. Thanks to her journalism background, Anna believes less is more in writing, editing, and design. When she’s not off the grid, she also loves participating in communities on YouTube and Twitch. 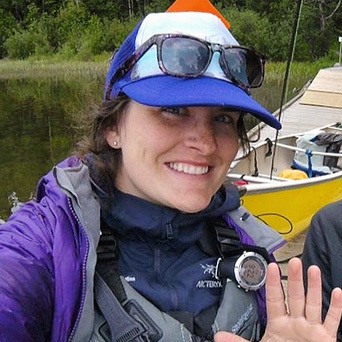 Emily is the managing editor of Outdoor Women’s Alliance’s Editorial Mentorship Program. She stumbled across OWA in the fall of 2014 while on a mission to find a way to increase the presence of female writers and photographers in outdoor media. 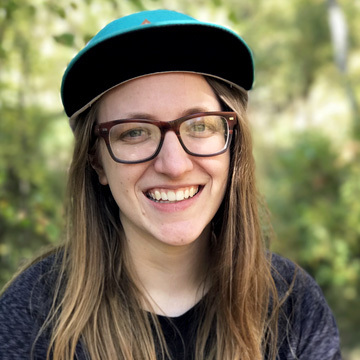 After contributing a couple of stories to OWA, Emily started taking a hand in editorial tasks and developing the Editorial Mentorship Program. Emily received a bachelor’s of the arts in Print Journalism from the University of Montana, with a minor in Wilderness Studies. 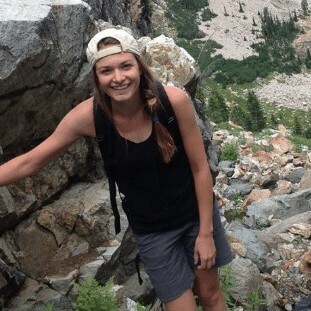 After graduating in 2012, Emily settled in Whitefish and began working as a hiking and rafting guide in Glacier National Park, then spent winters working as a cat skiing guide. 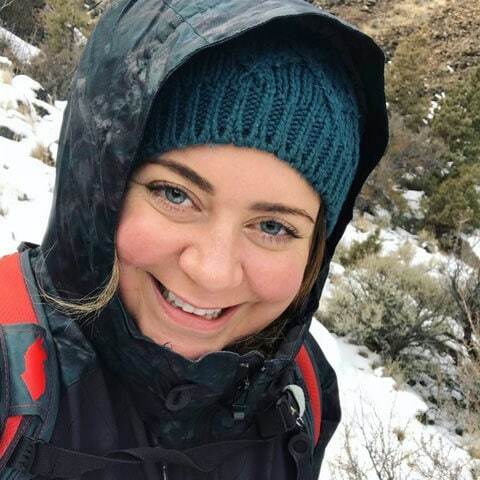 She’s currently on hiatus from volunteering with OWA while back in her Colorado home state pursuing a graduate degree in Integrative and Public Lands Management at Western State University. 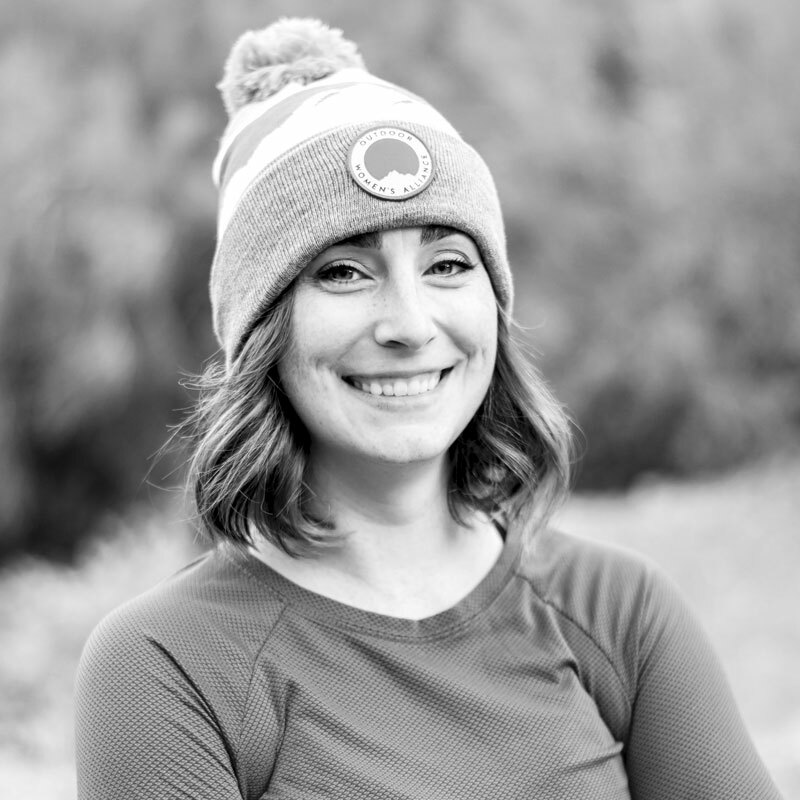 Haley is a writer, skier instructor, and trail runner based out of Dillon, Colorado. She’s also an avid art-viewing, story-telling, mountain-climbing, and traveling fiend. Justine, the director of our Grassroots Program, grew up between Atlanta, Georgia and Roubaix, France. She spent the last seven years chasing winters around the globe until finally settling down in Bend, Oregon — as least for now. An avid outdoor woman and self-proclaimed winter fanatic, her passion for snowboarding, split-boarding, mountaineering, backpacking, and climbing comes from her many years spent living and working in Val d’Isère, a small town in the French Alps. Once a perfectionist, she is now focused on dabbling in human-powered outdoor sports and various creative arts to relish in trial, failure, and growth. 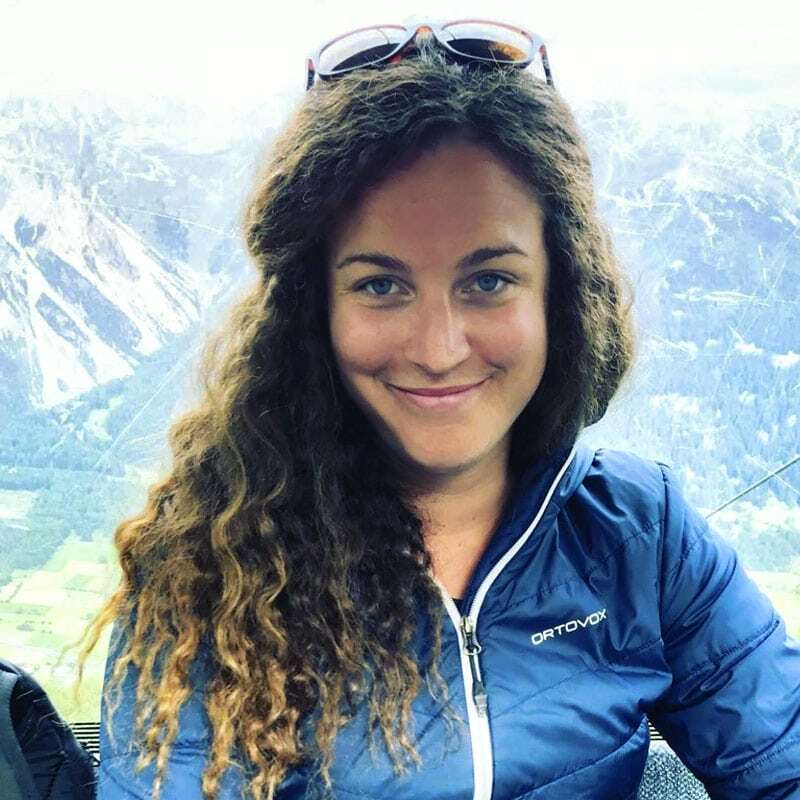 After six years of working as the events coordinator on Europe’s biggest skiing and snowboarding events, Justine is currently making the transition out of the action sports marketing sector into wilderness therapy and outdoor education with the hopes of enabling more people to access and benefit from experiences had outdoors. 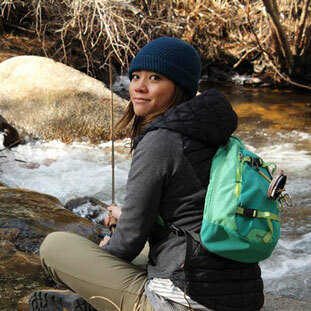 Her passion for fostering a strong outdoor women’s community is what led her here to Outdoor Women’s Alliance and she can’t wait to continue empowering women through the outdoors. Andrea is a lifelong outdoor woman and all-around nature enthusiast. 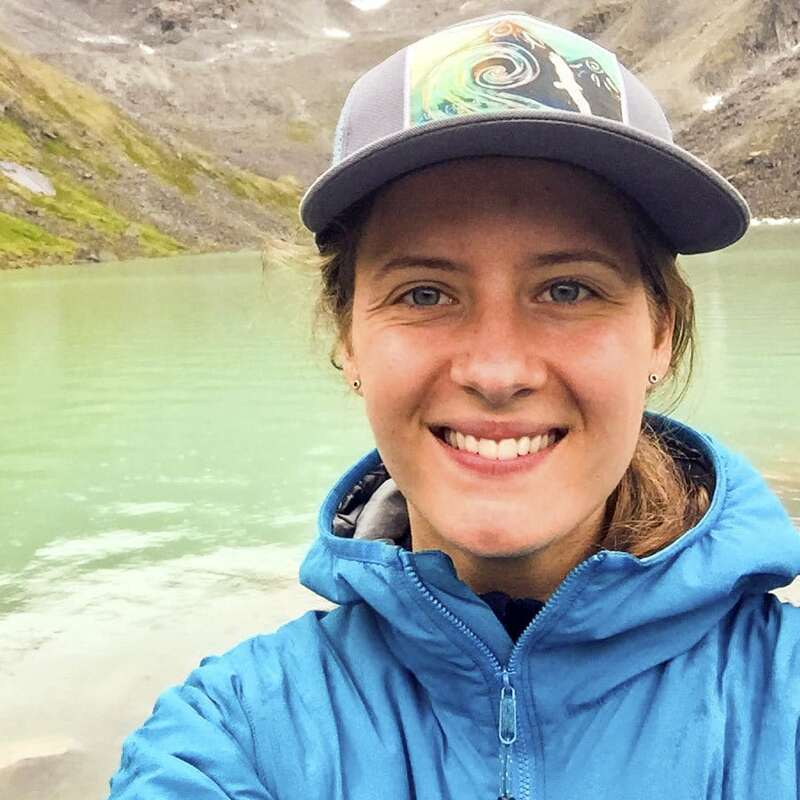 Originally hailing from Florida, she spent three years working in Alaska as an interpretive park ranger for the National Park Service. After moving to Oregon to get her master’s degree in environmental studies, she unexpectedly fell in love with the U.S. Pacific Northwest and decided to stay. 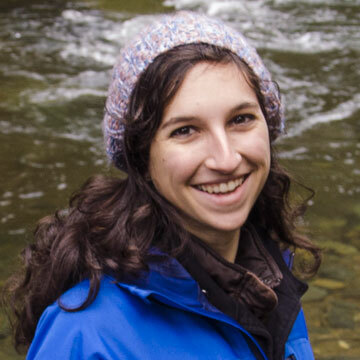 Andrea enjoys hiking in the Cascades, playing in the snow, visiting national parks, climbing, paddling, and camping. She is an avid outdoor photographer, writer, and amateur filmmaker, always looking for the next great adventure. Andrea is the Program Manager for OWA’s California and Oregon Teams. 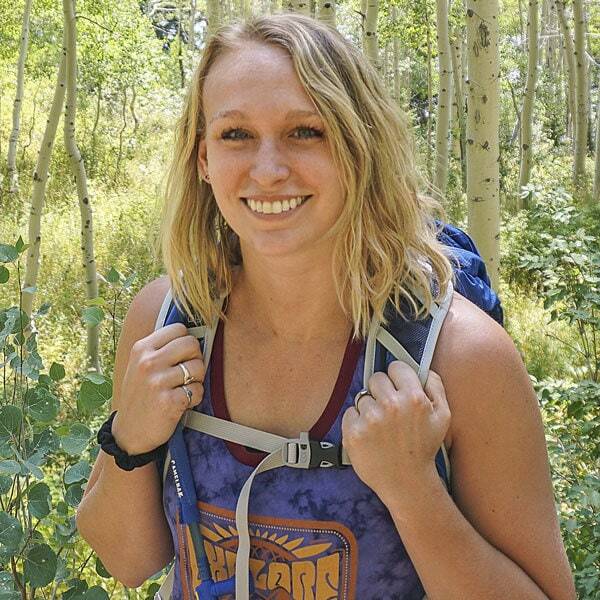 Elizabeth first came to love adventure in the outdoors through backpacking as a way to prove her self-reliance. After earning her degree in graphic design, Elizabeth thru-hiked 1600 miles of the Appalachian Trail. 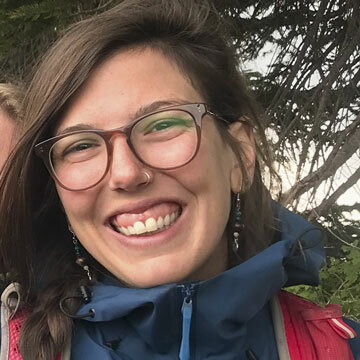 She spent 15 years working in outdoor retail before leaving to travel North America full time in her school bus, pursuing outdoor adventure with her family. Elizabeth enjoys backpacking, rock-climbing, trail running, and outdoor play with her husband and two daughters (6 and 8). For her girls, she prioritizes teaching them a love and respect for nature and to find the strength within to overcome adversity and obstacles. Together they take weeklong backpacking trips anywhere from the Appalachians to the canyons of southern Utah, climb classic multi-pitch routes, scramble on big boulders, and play in creeks. Elizabeth will be heading up program management for selected Regional Areas of our Grassroots Program once established. Holly has loved the outdoors ever since she can remember. She spent her childhood camping, exploring the woods, and boating in the Finger Lakes of New York. Her degree in archaeology led her to a career that involved lots of backpacking in mountains all around Europe and California. 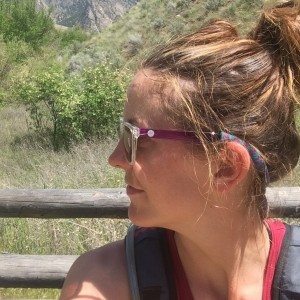 In 2014, she fell in love with the Colorado lifestyle and became an avid mountain biker, 14er peak bagger, and backpacker. Eventually, Holly decided she wanted to be outside on her bike 24/7 and got a job as a bicycle rep for a mountain biking brand. Most days you can find her exploring the trails of Colorado with her doggo. Holly is OWA’s Colorado Program Manager. Originally from northern Virginia, Sara spent summers hiking around the U.S. east coast with her family. Her love of the outdoors is rooted in her childhood, but she didn’t pursue outdoor adventure on her own until college. 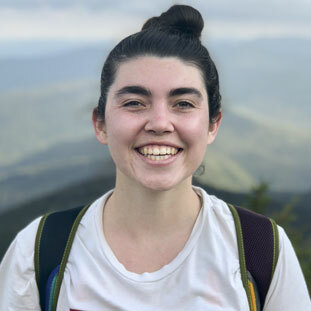 Sara spent her college career at West Virginia University as a trip leader for her university’s outdoor orientation program, leading students on backpacking, kayaking, and canoeing trips across West Virginia. 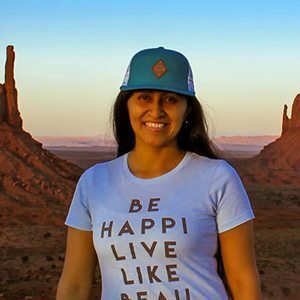 She also worked as an instructor for an outdoor adventure company leading 13 to 18 year olds on outdoor trips throughout the Pacific Northwest region of North America. When she’s not studying, you can find Sara exploring the trails, rivers, and slopes of West Virginia. 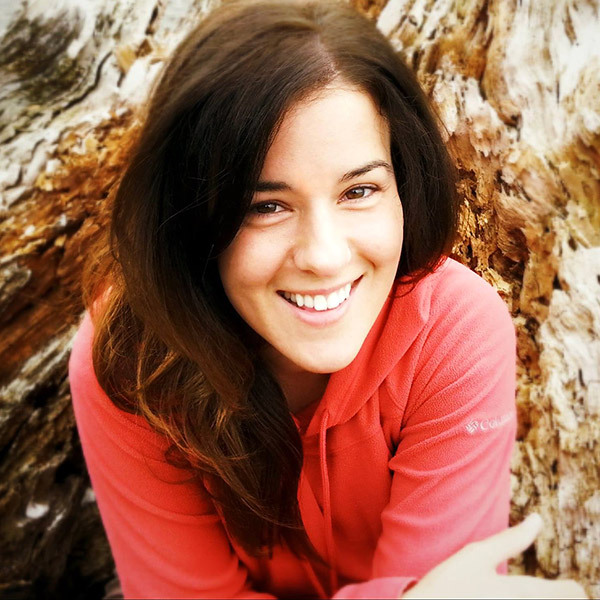 Sara is the Program Manager for OWA’s British Columbia and Washington State Teams. 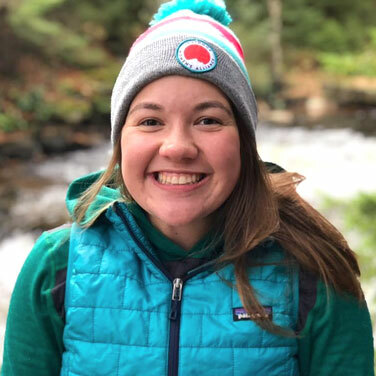 Brenna is originally from Chicago, Illinois, spending summers in the neighboring state of Wisconsin at Camp Manito-wish. It was at this camp — which focused on building leadership skills through all-girls wilderness trips — that Brenna’s appreciation for women-only adventures began. She joined OWA as a Partnerships Manager to help more women share the same experience she did. She studied Operations Management and Environmental Studies at the University of Wisconsin-Madison. She loves to chat about all things environmental and social sustainability. She recently moved to Salt Lake City, Utah, where you can find her in the mountains on skis, in a harness, or in a pair of hiking boots. A California native, Dorothy’s childhood summers were spent camping in Yosemite with friends and family. 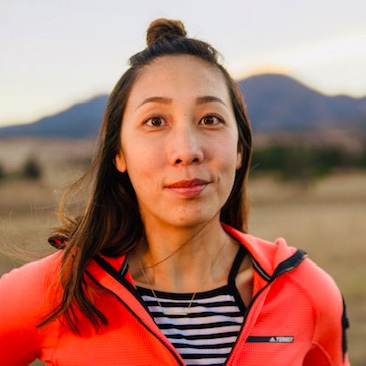 She found a true appreciation for human-powered adventure when she discovered trail running with her cross-country team. 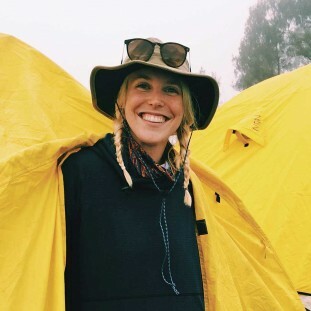 Believing in empowering others through adventure, she led camping trips for youth groups while earning her bachelor’s degree in fine arts at UC Irvine. She is passionate about the outdoors, enjoying hiking, road-tripping to national parks, and climbing. 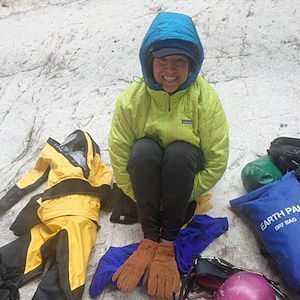 Most recently, she channeled that passion into teaching climbing (and yoga-for-climbers) to some awesome, turbo-charged kiddos at a summer camp in Colorado. Dorothy loves to sculpt and woodwork and finds inspiration in foraging fallen trees and wild plants in nature. Most days you can find her on SoCal trails seizing the day with early-morning runs. Glynnis is originally from Seattle but left the city life a few years ago for an opportunity to manage a remote ranch in Central Idaho about 30 miles from Sun Valley. She now lives at the base of the Sawtooth Mountains in a small town with a population of 67 people. She has a bachelor’s degree in English Literature from Sierra Nevada College at Lake Tahoe and a Certificate in Digital Brand Management from Oregon State University. She thrives on timelines and delivering projects that make partners happy. Being late scares her. Previous work experiences include: lifeguarding, office assistance, managing properties for the rich and famous, and traveling the country as a project manager for Nike clients. In her free time she loves exploring wild, untouched places. She is an avid hiker, biker, split-boarder, runner, and animal lover. Helen is an Oakland, California native but currently lives near Burlington, Vermont. She graduated from Elon University in North Carolina with a degree in communication design and a minor in adventure-based learning. She is a graphic designer with a love for magazines, clean composition, and sans serif font. Helen is currently working toward building a career in graphic design with a focus on editorial and publication design. Helen has loved the outdoors since her childhood, with summers spent camping and hiking at ranch camp in Northern California. 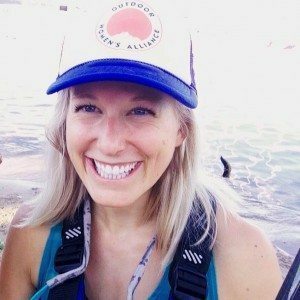 She has since worked for that camp, leading hiking and backpacking trips for kids, and is a strong believer in outdoor education. Helen loves hiking, backpacking and swimming in alpine lakes. Her ideal outdoor day would include a hike with a riverside spot to hang her hammock and read a good book. 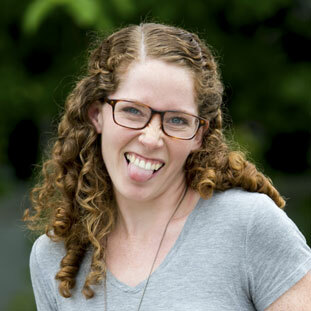 Rachel is a New Englander at heart — she grew up in rural Vermont, studied at Skidmore College in upstate New York, and is now settled in New Hampshire with the White Mountains at her fingertips. Having studied health and exercise science while at Skidmore, she is a lover of all things health and wellness and loves what exercise can do for the mind and soul. An artist at her core, Rachel is a self taught graphic designer and illustrator who takes inspiration from the mountains and her earthy-crunchy upbringing. She is lover of watercolors, collage and bold colors. Rachel’s earliest memories are of living with her family in a house without electricity or running water, so she is no stranger to the wild. Her first overnight hiking experience involved summiting Mt. Moosilauke in the winter as part of a high school elective class. These days she’s hiking her way through New Hampshire’s 4000-footers and climbing at the local gym. 1. Serve the rising generation, with a special focus on underserved young women, through leadership-building adventure programs. The programs are designed to help young people gain confidence through positive avenues rather than seeking acceptance via pressures related to relationships, body image, drugs, alcohol, etc. 2. Build communities through strong, leadership-driven women via OWA’s grassroots teams which focus on education and experiential, skill-building activities for women in the outdoors. OWA focuses on human-powered adventure sports in spaces away from city limits. These activities include skiing, snowboarding, mountaineering, expeditions (scientific, recreational, or exploratory), kayaking, rock and ice climbing, surfing, mountaineering, mountain biking, multi-day road cycling, standup paddleboarding, wilderness adventure races, canyoneering, coasteering, cave exploration, trail running, and backpacking.